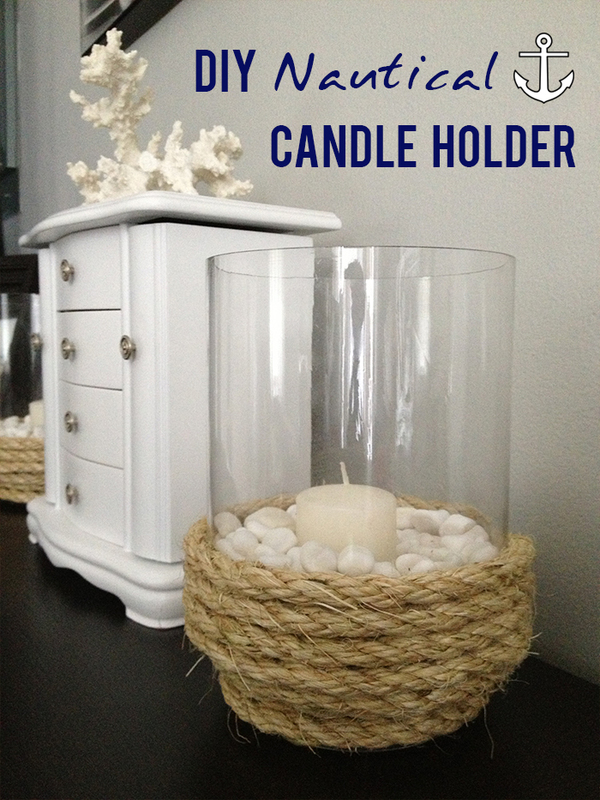 Okay friends – I completed my first DIY for the new house: Nautical Rope Candle Holders! I have two kinda large glass candle holders that I’ve been considering throwing out because I just didn’t like them anymore. Happily, I found a way to freshen them up and give them a new life in our new home. And since I’m being a lunatic with all the nautical decor, obviously that’s the direction I went with it. All you need are the glass candle holders you want to spruce up, some sisal rope and a glue gun. Simply glue the rope on to the glass from the bottom up, as far as you’d like. I only went about a quarter of the way up on mine, but I would like to buy some taller, skinnier vases soon and wrap the rope about halfway up the sides. Also, can we just talk about how adorable this coral is? I found it as Christmas Tree Shop of all places, and I love it. I want more of it, but I know it’ll be overkill.